I have been thinking of introducing calendar to my toddler for some time. Then I thought, why not do it as a craft activity? Spent some time thinking about how one could represent the functionality of a calendar via craft and something interesting came from it. Making this craft turned out to be a real fun activity. In the process of crafting this, my toddler got to sort numbers and recognize words. Most importantly I can now teach her about the relationship between date, day and month in a simple, playful manner. Interactive paper plate crafts are my favourite. The Solar Eclipse Craft we made after the total solar eclipse last year is such a great idea for preschooler and kindergarten kids. I also love the interactive Bunny Craft we made around Easter to encourage the importance of chewing food well and eating healthy foods like carrots. 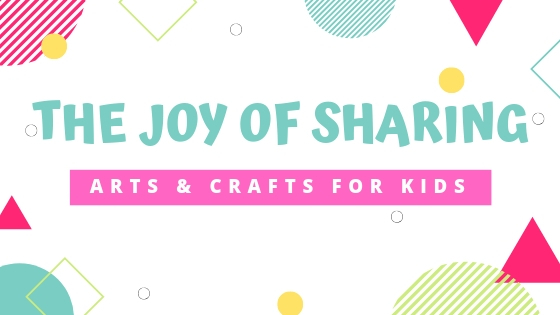 These Interactive Crafts are fun for storytelling and introducing any concepts to little kids. Also, makes great DIY toys for free play. HOW TO MAKE CALENDAR CRAFT? 1. Cut the edges of one 9" and one 6" inch paper plate to make 6.5" & 4.5" circles. 2. Cut out the shapes for writing date, days and months. Alternatively, you can write them directly on the paper plate. 4. Cut out the shape of an arrow pointer from black cardstock paper. 5. First, glue the dates cutouts along the edge of 9" paper plate. 6. Glue days cutouts along the edge of 6.5" paper plate cutout. 7. Glue months cutouts along the edge of 4.5" paper plate cutout. 8. Stack all the plates together and tie them with a pipe cleaner from the center as shown below. Make sure you are able to comfortably rotate the plates. 9. Insert a bead and arrow pointer cutout on the top. You can punch a hole in the arrow if needed. Again make sure that you are able to rotate the pointer arrow comfortably. Bend the pipe cleaner on both sides tightly holding everything in place. And the wheel calendar craft is ready to spin. Happy Crafting!